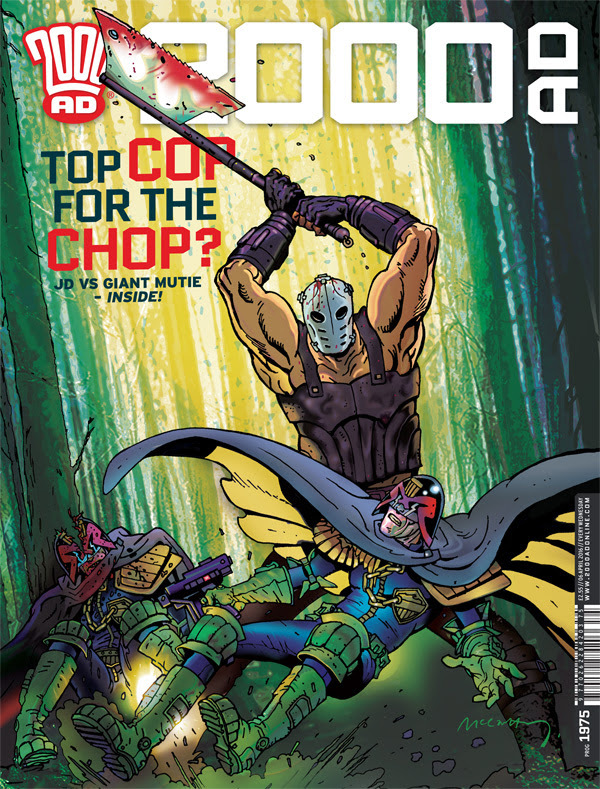 In this edition: Judge Dredd: The Grindstone Cowboys by Michael Carroll, Colin MacNeil, Len O’Grady, and Annie Parkhouse; Tharg’s 3rillers: Repossession Orders by Eddie Robson, Jake Lynch, and Simon Bowland; Survival Geeks: Geeks Fatales by Gordon Rennie, Emma Beeby, Neil Googe, Gary Caldwell, and Ellie De Ville; Tainted: The Fall of Deadworld by Kek-W, Dave Kendall, and Annie Parkhouse; Aquila: Charon’s Mercy by Gordon Rennie, Paul Davidson, Len O’Grady, and Ellie De Ville. Check Out Europe Comics In London This Month! Promotion: Get The Fitbit Blaze On Amazon!